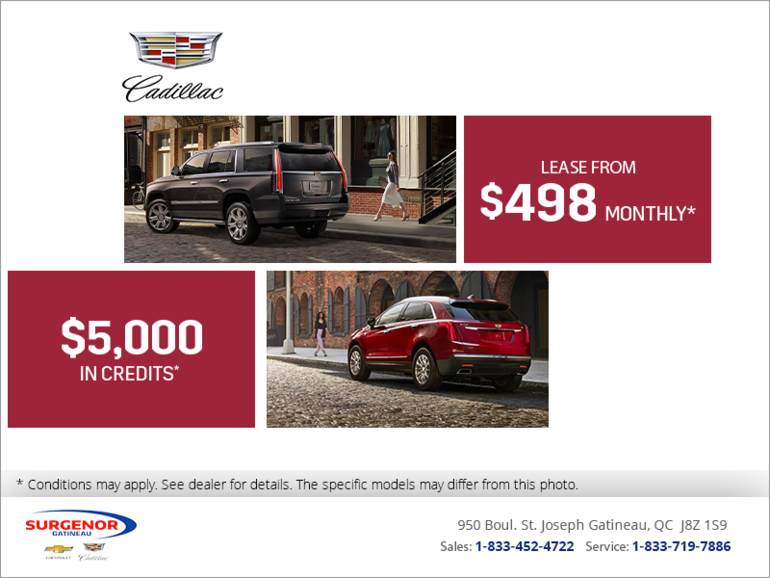 Lease a new Cadillac starting from $498 monthly with financing as low as 0% on select models. Plus get up to $5,000 in credits on select models. Some conditions apply. This offer ends April 30th, 2019.